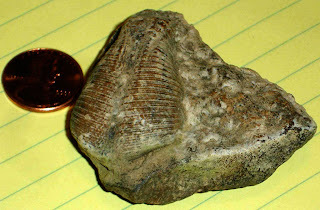 I received an e-mail from an Internet visitor named Erik here in Louisville, Kentucky asking if I could identify this fossil his son found in a creek. 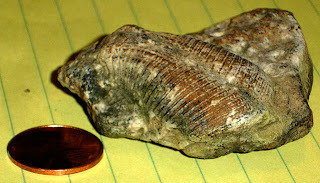 Luckily, I had seen this type of fossil before and happily responded with some information about it. Erik was nice enough to let me post the pictures to share the find with others here on the Internet. 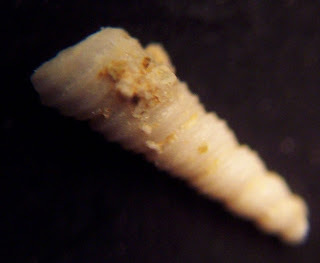 Since it was found in a creek it is harder to determine exactly what limestone layer it is from. 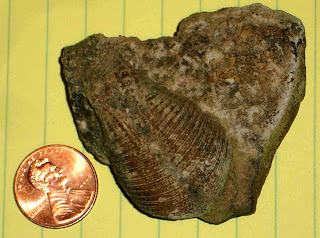 More than likely it is a Devonian Period fossil and is of the genus Hippocardia. The fossil creature looks mostly intact and is of good size and detail. A very nice find! These Middle Eocene Epoch (Lutetian Stage of the Palaeogene Period, Cenozoic Era) fossils just arrived so the images were quickly taken with the microscope using 40x magnification. 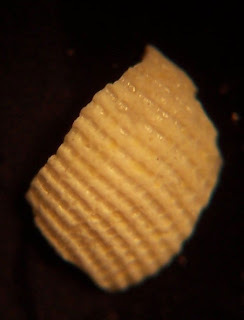 Since they are relatively three dimensional some of the images are partially out of focus. 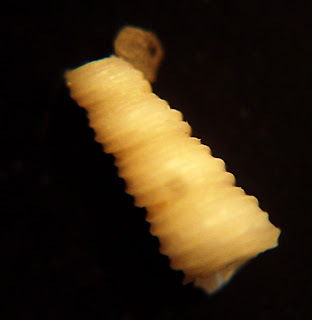 A website link is below that can be used to help identify them. 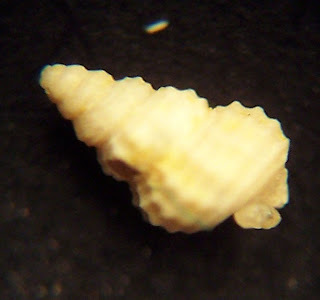 The site is comprehensive with a lot of gastropods that will take a while to look through to match what fossil is what. 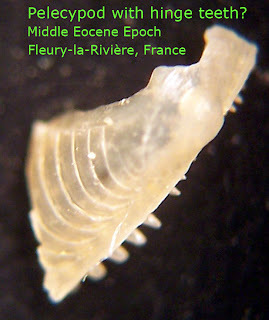 Fossils are from Fleury-la-Rivière which is located in the French region of Marne, southwest of Reims and northwest of Epernay. This French fossil website is an amazing piece of website development and paleontological data that was written at least 5 years ago. The PHP/SQL search method is nice that allows visual sorting on 1543 stored specimens. 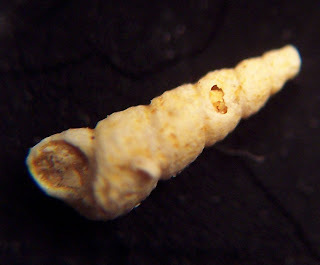 Thanks to Michael Hesemann of http://www.foraminifera.eu for these specimens.